That last panel required a bit of redrawing! The action of hundreds of flower Pikmin springing forth from the ground simultaneously is not one that comes naturally to me. And this comic’s title came after I drew it, when it occurred to me how similar the style of humor was to the old Mad Magazine cartoon. 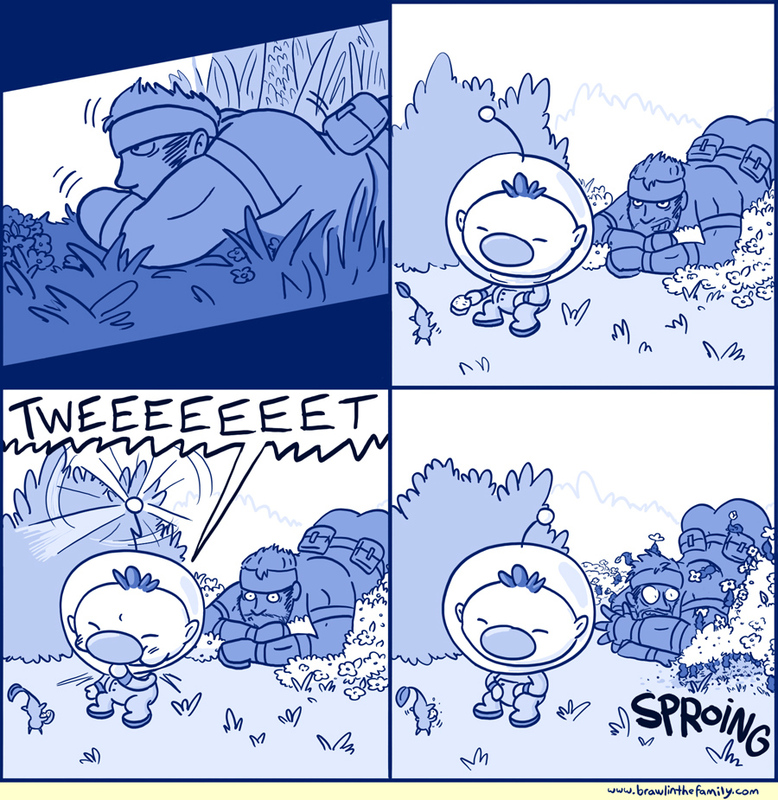 Snake and Olimar’s rivalry in the strip is sort of an unusual one that came out of nowhere back in the buried treasure comic in 2008. I think I later needed someone for Snake to sneak up on and thought back on that comic, so one thing led to another from there. But it makes sense when you consider how Olimar and Falcon were buddies in Brawl!